5. 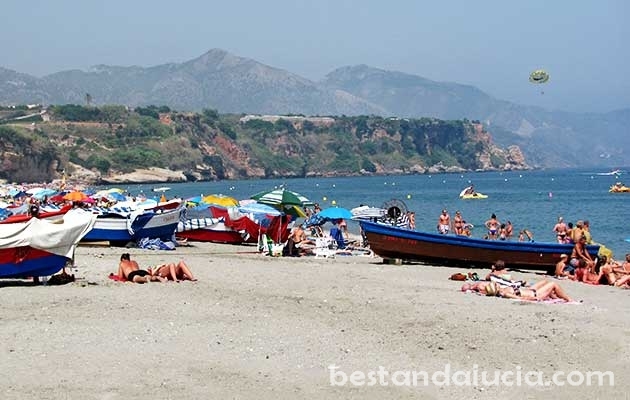 Torre Bermeja beach in Benalmadena – wide and clean 700 metre long beach where you can enjoy sun all day long. Torre Bermeja regularly cleaned. The sand is darkish. Beach goers can rent sunbeds, umbrellas, boats, jet skis. There is a beach football and volleyball pitches prepared as well. In addition to that Torre Bermeja boasts some nice bars and restaurants. 5. 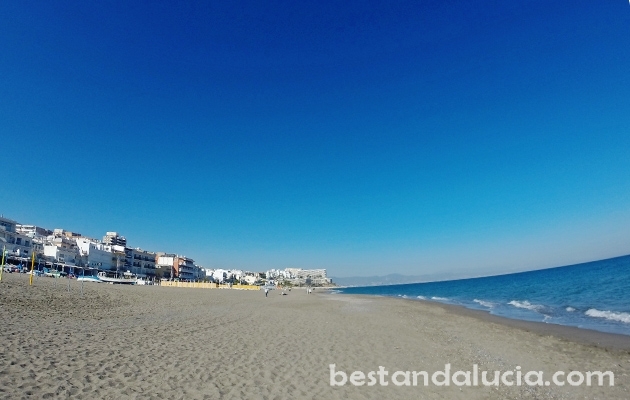 Puerto Banús beach near Marbella – best beach in Puerto Banus, Marbella. Well taken care of, long, wide and family friendly. Within walking distance from the beach you will find some fantastic restaurants, bars as well as designer boutiques and jewellery shops. 6. 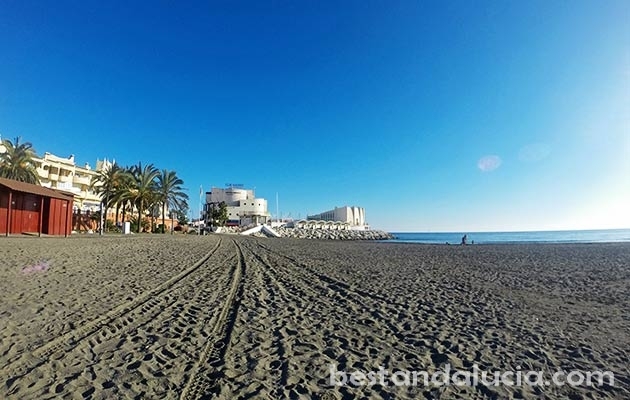 Playa del Cristo in Estepona – located near the centre of Estepona. 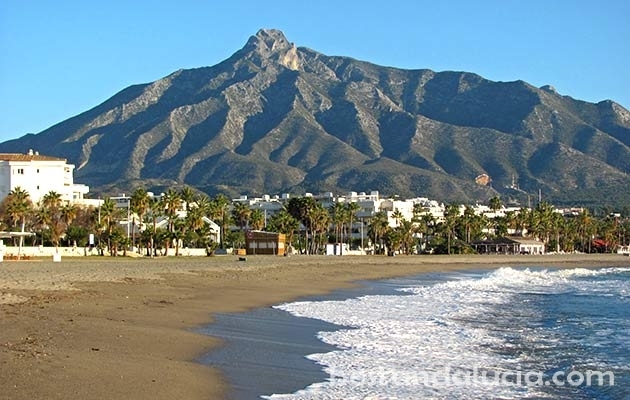 Unlike nearly all the beaches on the Costa del Sol that face east and south, El Cristo looks more to the west allowing for more sunshine in the evening hours. Playa del Cristo boasts mesmerizing sunsets and shallow water which is simply perfect for kids. It’s well protected from the wind as well. El Cristo would be a perfect beach were it not for it’s small size and low quality parking.